A 2 lane dragstrip with working lap times and lights. 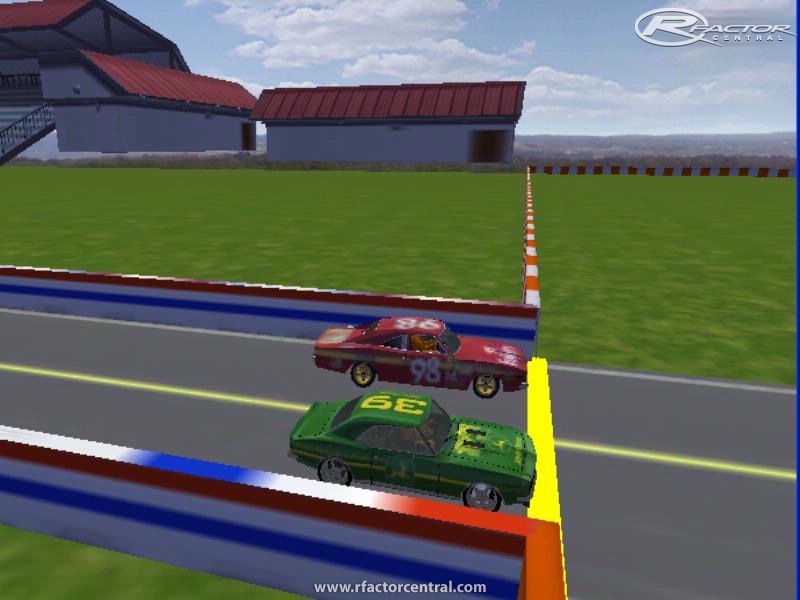 Because of the way the start/finish line had to be manipulated to get this to work in rFactor, you cannot race this track with rules nor can you race it offline because the minimum laps offline are 2. 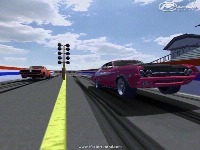 However, this track is a lot of fun online! Several people can be in the server at the same time. During practice you just stop at the line and then go(for setting up you car and such). 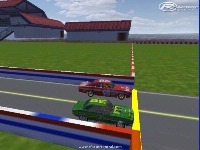 When racing with more than 2 people it just takes some communication as to who goes next and just keep restarting the race until you have run your bracket or all the people have gotten to race. It goes pretty smooth if all the people are on ventrilo or teamspeak. 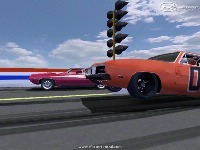 You can visit our servers to see how we do it or visit http://dukeboysracing.webs.com for more info on our dragracing brackets. 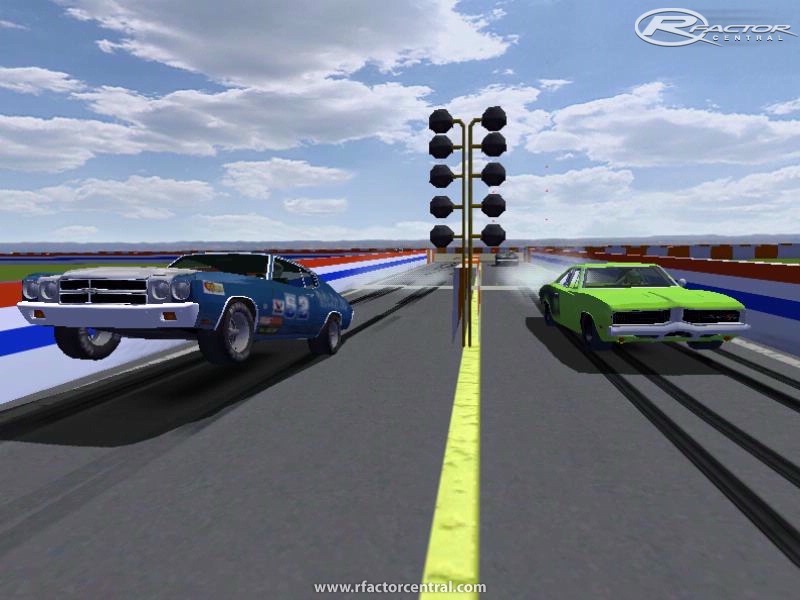 There are currently no setups for 2 Lane Dragstrip. Add a Setup. can someone PLEASE email me a copy of kalamazoo speedway?? I used to have it and my pc crashed and the one availible here says its broken when tryin unrar/unzip..this is my hometrack and id love to have it back again, can someone please help? Thank you all for all you do with the killer tracks and mods! Track is ok but has a HUGE problem. 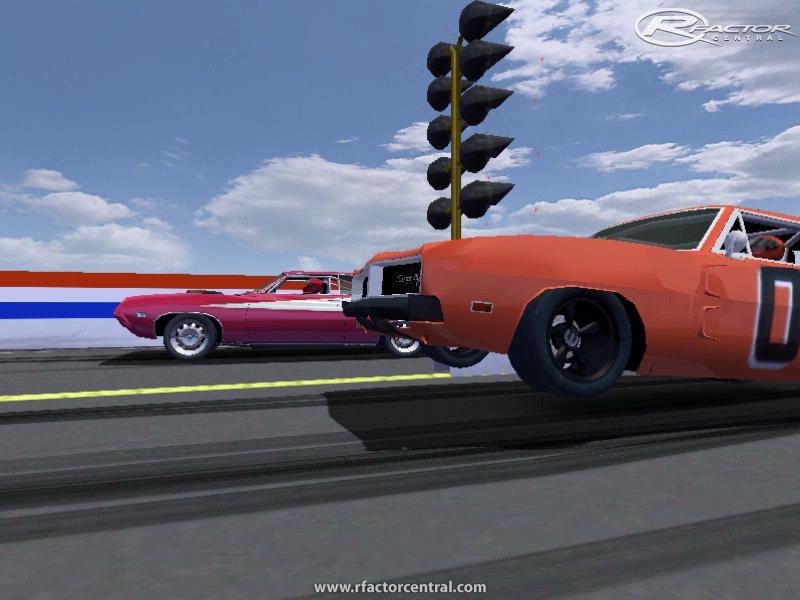 Since you cannot aply rules to it,cause for some reason you´ll get DQ before enter track,it makes online races impossible since no "false start" penalty. Running without a false start check is stupid. Tkx for the track but it simple dont work. 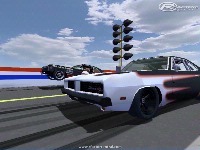 Someone should make a top fuel mod! Sorry I haven't checked thread in a while.Link has been updated. Streak115, It's fine by me. Please give credit to the original creator. Love the track. Just wish the game could love it like it should. Keep up the good work. Would you be willing to let me convert this track to GTR2 Griff?